Our Builders Blitz program​ is super fast way to build a brand new home. We seek the donation of labor from many local contractors and work closely with each of them as a team to finish the house within two weeks. When the contractors come on site they already are aware of the house plans and the foundation has already been set. Habitat of St. Joseph County MI build one house a year using our Builders Blitz program. Katelin is a mom to a glowing two year old boy named Jayden. 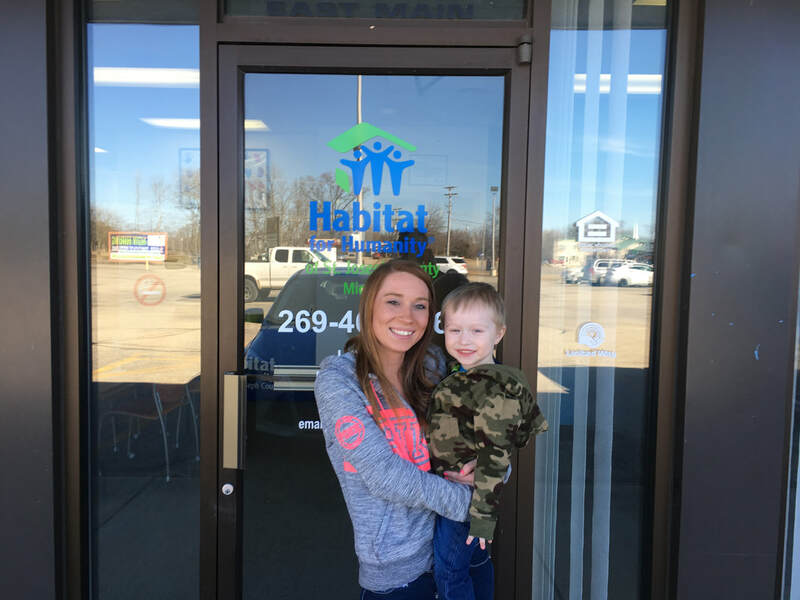 They are very excited to be our new Habitat Partner family. Katelin is very excited as well to be close to owning her first home. 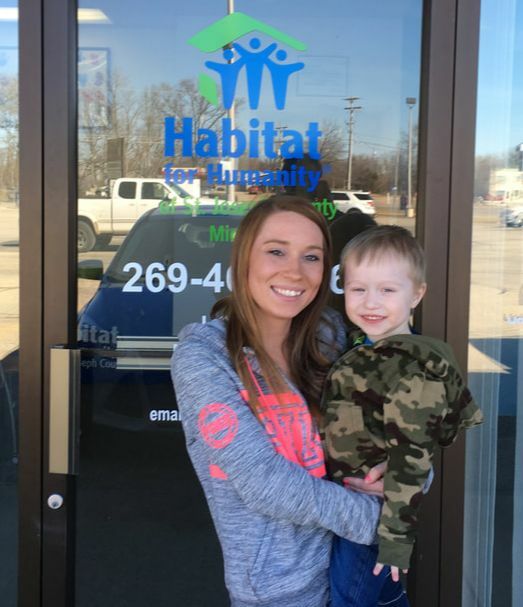 The land that is being used to build the home was purchased by her parents in the hopes that one day their family could build on it... Habitat is making that dream a reality!